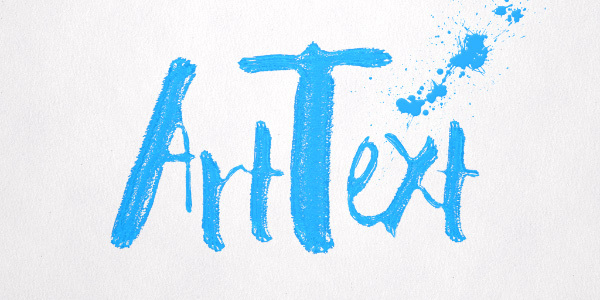 Meet Art Text 3, a graphic design software for Mac that helps to create jaw-dropping text effects without as much hassle as Photoshop. The program comes equipped with diverse editable content, as well as allowing users to create or upload their own content with ease. A range of diverse 3D materials will offer a wide selection of professionally designed textures, including food related, stone, wood, neon, and other textures. 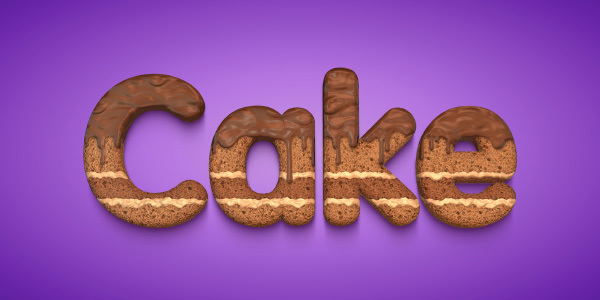 Here is a tasty example of some 3D text with a chocolate cake effect. Combining one of the supplied textures (choco_cake) with a Bump Map preset from the Food category, which provides a highly realistic effect. The Geometry settings will not only let you bend 2D or 3D text any way you like, but also offers four chamfer types for 3D text. 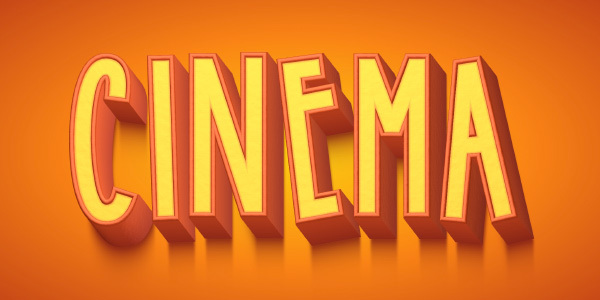 Adjusting 3D depth and thickness, together with the chamfer thickness, it will provide eye-catching 3D text. The program comes pre-packaged with a variety of 2D shading materials, containing brush, metal, glass and more categories. Apply the brushes shading material to a 2D object will give it the effect of being paint drawn. Multiple settings will let you experiment with the colors, the intensity, and the shape of the material. Add some stain objects to make the graphics even more realistic. Depth gradient settings will let you quickly achieve a gradual smooth assimilation of your 3D graphics into the background. 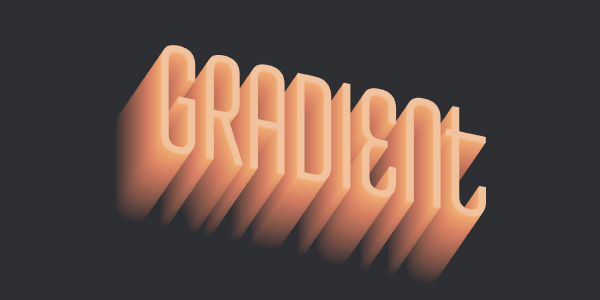 Another example of using a depth gradient is to color depth of the 3D text in different colors thanks to the ability of adding as many gradient spots as you need. A scratched surface effect is easily achieved by applying a mask over the object. In addition to a variety of supplied 3D materials, users have various 3D effect tools to choose from. 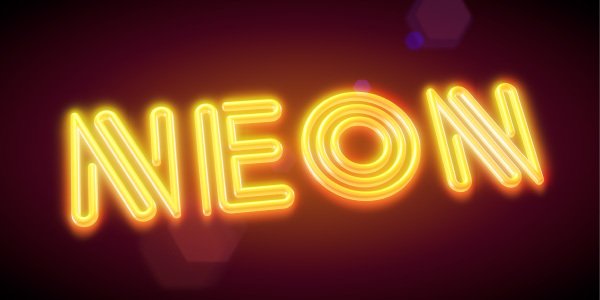 See how the Glow effect can spice up Neon material to create bright and attractive graphics. Adding a couple glare objects from the Light Effects collection, it will give you a true Neon light appearance. 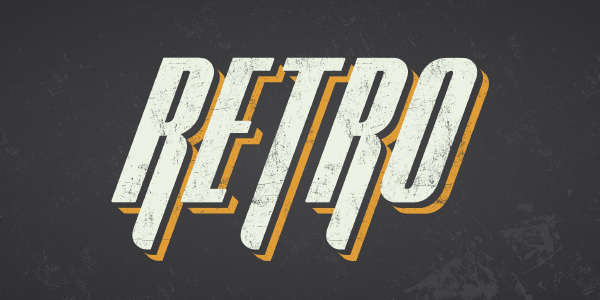 Applying one of the many supplied masks to the 3D graphics will quickly achieve a nicely aged texture. 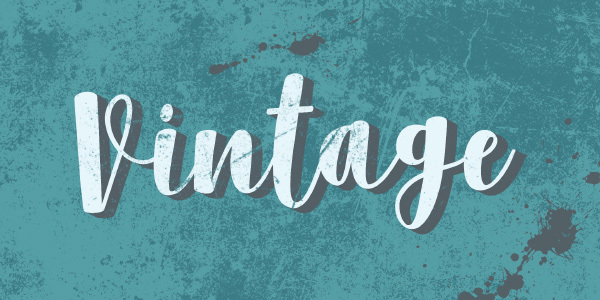 Setting a Parallel Projection from Transformations tab to create isometric-style graphics and adjusting Shear transformation settings you will end up with awesome vintage text. Drop in some of the supplied stain objects onto the chosen background to add a finishing touch. 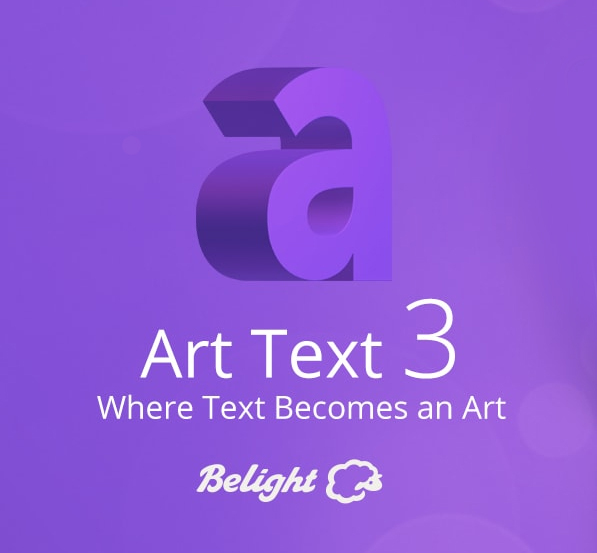 All 2D textures are split into multiple categories, with the ability to import your own image as a texture. 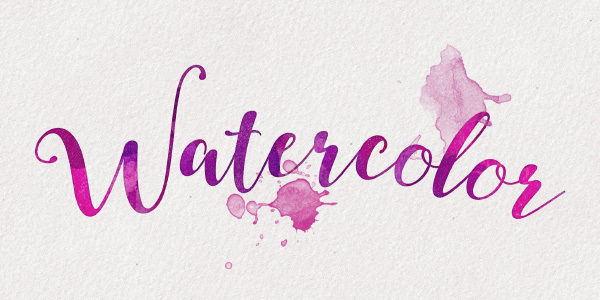 Pick one of the many watercolor textures to create beautiful watercolor graphics. 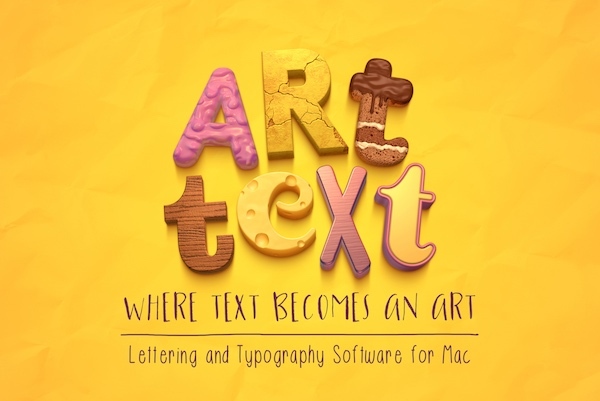 Collection of supplied shapes include a variety of watercolor blobs to enrich the graphics.